The hand position that is the beginning of Koryo poomse is described in many ways, ranging from a Chi Kung energy concentration to the more fanciful “gazing at the sun”. In this discussion I would like to propose an alternate interpretation of this movement, and the subsequent knife hand block. For those unfamiliar with the form: both hands rise from stomach area, close to the body, to face level. They are then pushed forward with the side of the hands straight out. A knife hand blocking movement to the left follows this. targets for this initial strike lie on the Stomach meridian. Specifically, St. 1,2,3. These points lie on the face in a straight line dropped from the pupils of the eye to the level of the bottom of the nose. targets for this initial strike lie on the Stomach meridian. Specifically, St. 1,2,3. These points lie on the face in a straight line dropped from the pupils of the eye to the level of the bottom of the nose. These points are symmetrical and will be found on both sides of the face. We will be striking with the outside edges of the hands—Knife hand edge. 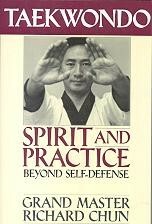 Of course this can be struck with only one hand, but since hitting on both sides of the body always has a more amplified effect, we will demonstrate it as the form does. The key to success in this is to not allow the opponent to see the attack coming. If you just stick your hands in their face, they will simply block them. You have to raise your hands below their line of sight. This can be done by holding them close to your body, as the form does, or close to theirs. The goal of the strike is to knock their head back and disorient them. Once this is done we move the next part. Feel free to reach out with questions or comments and we can get our shared journey started! Like what you see? Please, share with your friends!